Lansdowne, VA — Today the Jack Kent Cooke Foundation announced the 12 nonprofit organizations from Virginia, Maryland, and Washington, DC that will receive a total of $250,000 from its annual Good Neighbor Grants program. This is the largest amount that the foundation has ever awarded in the six-year history of the Good Neighbor Grants program. Since 2012, the Cooke Foundation has provided nearly $1.5 million dollars in Good Neighbor Grants to local youth-serving organizations. This year’s grantees will serve over 6,000 students through a wide variety of high-quality academic programs, college access initiatives, and arts education. A detailed listing of 2018 Good Neighbor Grants recipients is below. Genesys Works is awarded $25,000 to support its College and STEM Career Exploration program, which provides career pathways to high-demand, high-salary jobs in information technology for high school seniors with financial need. Boys and Girls Club of Fauquier is awarded $25,000 to support “Full STEAM Ahead!” which provides engaging, project-based activities with an emphasis on science, technology, engineering, arts, and math to students ages 9-12. John Champe High School is awarded $10,000 to provide support for the purchase of technology for the CAMPUS program – a Loudoun County Public Schools initiative designed for students who are historically underrepresented in college and/or are first-generation college-goers. 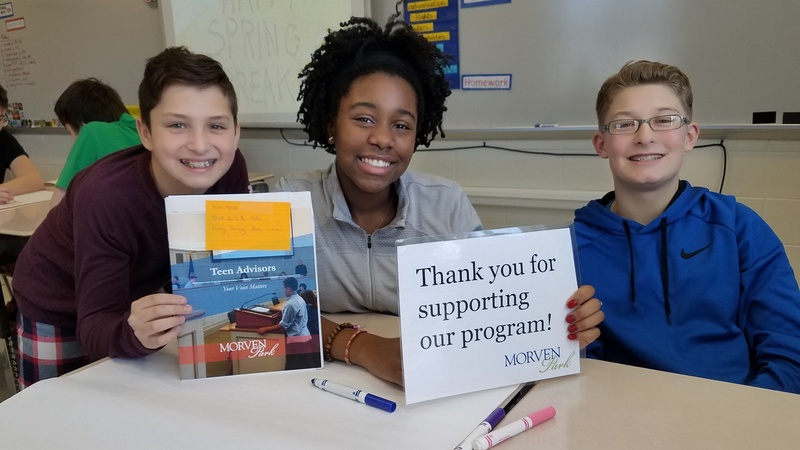 Morven Park, Inc. is awarded $35,000 to support the development and delivery of meaningful, engaging, high-quality civics education programs for students in Loudoun County through the Morven Park Center for Civic Impact. RESET is awarded $10,000 to provide up to six Loudoun County elementary schools with its STEM Enrichment Program, serving up to 60 students with financial need. Traveling Players Ensemble is awarded $10,000 to provide up to 10 scholarships for Loudoun County students with financial need in grades 3-12 to participate in its award-winning classical theater summer camp and academic-year weekend classes. LearnServe International is awarded $20,000 to support both their Seeding Social Innovation and LearnServe Abroad programs at a high needs school. LearnServe provides hands-on social entrepreneurship curricula and brings global perspectives into the classroom, sending students abroad to Jamaica, Paraguay, South Africa, or Zambia to implement relevant projects, developing students’ design thinking and leadership skills. Passion for Learning is awarded $10,000 to support Go2College, an afterschool college access program for highly motivated 7th and 8th grade students with financial need at Silver Spring International Middle School. American University is awarded $35,000 to support professional development for 15 teachers from underserved Washington, DC schools to serve as teacher-coaches in the DC Ethics Bowl competition, and deepen mentoring services provided to participating students. American Chemical Society is awarded $30,000 to support paid fellowships for ten exceptional high school students with financial need to conduct intensive, real-life laboratory research under the guidance of a volunteer scientist mentor. Thurgood Marshall Academy is awarded $30,000 to support the academy’s College Access Program, which provides in-school and out-of-school college preparation throughout the academic year. Book Club for Kids is awarded $10,000 to support programming and outreach for taping a series of twelve podcasts at middle schools and libraries with high concentrations of students with financial need. Photo: Students participating in a Morven Park program.